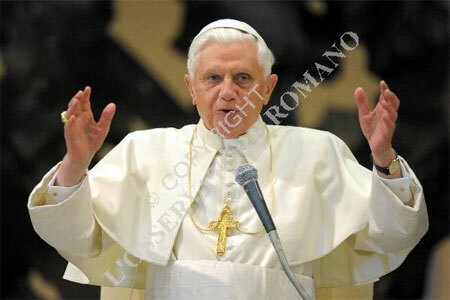 In turn Pope Benedict pointed out that Catholic schools can not live separated from other educational institutions. They at the service of society can not be reserved only for Catholics. Instead they must be open to all who want to enjoy a qualified educational program. Pope Benedict then spoke of role of Universities in guiding people to the highest levels of knowledge of truth and the world in all its aspects.. He also recalled the 25th anniversary of Libertatis nuntius an Instruction issued by the Congregation for the Doctrine of the Faith on liberation theology, that stressed the danger entailed in an uncritical adoption by some theologians of opinions and methods drawn from Marxism. Its followers, more or less visibly, created rebellion, division, dissension, offences, anarchy causing great suffering in diocesan communities and serious loss of life. On Saturday Pope Benedict appealed to all those who somehow were attracted to, involved in or affected by certain seducing principles of liberation theology, to remember that "the supreme rule of faith [the Church] (75) derives from the unity which the Spirit has created between Sacred Tradition, Sacred Scripture and the Magisterium of the Church in a reciprocity which means that none of the three can survive without the others" (John Paul II, Encyclical . Fides et Ratio, 55). Taking his leave of the bishops Pope Benedict asked the leaders of the Church in the Land of the Holy Cross to remain "ecclesial souls 'learning to resist that "internal secularization" that threatens the Church and its teachings.